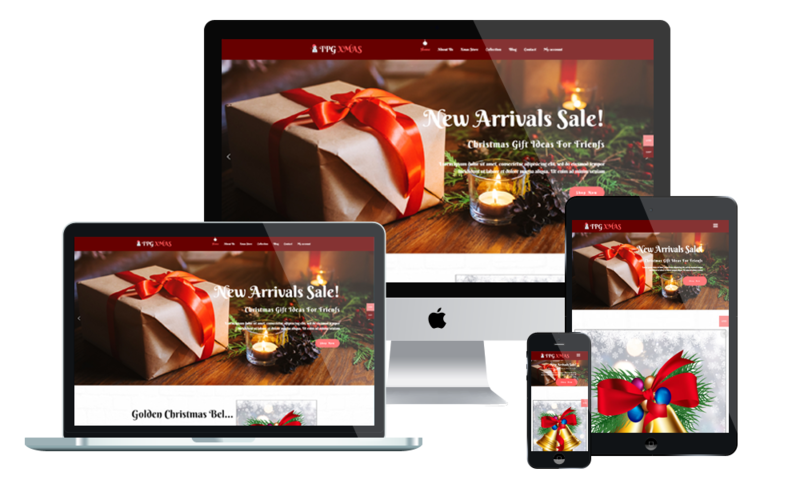 LT xMas Gift is Responsive WordPress theme designed especially for xMas Store or Christmas Shop websites. Actually, this theme can be used in all sorts of craft projects – including making your own Christmas cards, scrapbook layouts, fridge magnets, mobiles, bath foam shapes, Christmas tree decorations and much more. LT xMas Gift is extremely responsive that adapts to the screen resolution of all mobile devices – smartphones, tablets and desktops. It builds from powerful framework with fully bootstrap supporting strong shortcodes, drag-drop layout content, Bootstrap CSS & Hybrid framework. In addition, the theme comes with unlimited color and a color picker in the admin panel to create wonderful websites with various layouts. This is modern, elegant and creative theme for christmas gift shop. The theme comes with a gorgeous design that is great to showcase for shop who want to create their own shop website. The services page is especially useful if you offer your customer services for various services types such as RETURNS & REPLACEMENTS, ORDERING, ACCOUNT INFORMATION, etc. The shop page is especially important to classify kinds of items such as accessorie , candle, decorate, sock or tree… from your shop. Xmas gift shop WordPress theme comes with super cool responsive portfolio gallery, which helps to showcase new gift, gift ideas for friends and portfolio in an eye-catching manner. Create posts about the latest gift trends of your shop. The social network is the best solution to help the products approach customers quickly. Let your visitors easily contact you via the information about address, phone numbers, email, fax of your shop on this page. On the other hand, help them easily submit feedback via mail or navigate to your address by map. Customers buy some items from your shop and register customer to get account, and with account they can update news from your shop.